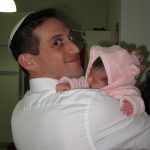 Temima Rivka to Natan (K’06, N’07) and Jesse Brownstein – new baby. Gabriela Rose, daughter of Julie Glick Davis (K’95) and Danny Davis. Yamit Remz (K’05) to Rabbi Elisha Friedman. Daniel Forman (K’99) to Lindsay Braverman. Gail made such an impact on the developing hearts, minds, and souls of countless children over many decades doing what she loved most: teaching. 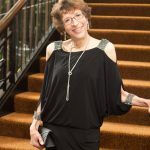 Through her deep love of everything Jewish, she offered her students (most recently at JCDS) and campers, profound and meaningful ways to connect to the sacred texts, traditions and prayers she loved so dearly. Gail was at Machaneh Yavneh for 14 years as a teacher and an Em HaMachaneh, but her greatest job, the one she cherished more than any other, was Ima to Morry, Doron and Raanan, wife to Rabbi Ira, and Bubbe to Orly, Meirav and Nadia. May her memory be for a blessing. I was lucky enough to have Ezra as my camper in Gurim (2007) and K’firim (2009). I felt like I knew Ezra instantly. He always stood out from the crowd with his big, bright smile and his enthusiasm for whatever activity we were doing. He certainly kept us on our toes. In 2009, before camp started, I remember reading through another camper’s paperwork; he wrote that he was really nervous about being away from home for the first time and that he was especially nervous about making friends. Toby and I made a note to ourselves to check in with this boy regularly over the first few days of camp to see if he was alright. On the first day, we saw that this boy was hanging out with Ezra, and Toby turned to me and said, “Well, he’s already friends with Ezra. We’ve got nothing to worry about.” We just knew that any boy who was friends with Ezra was going to have a great summer…and he did! 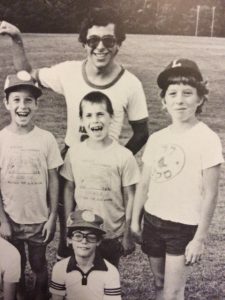 When I was a Gurim counselor, we used to talk about how we had the most important job in all of camp: it was our responsibility to help every one of our campers fall in love with camp. 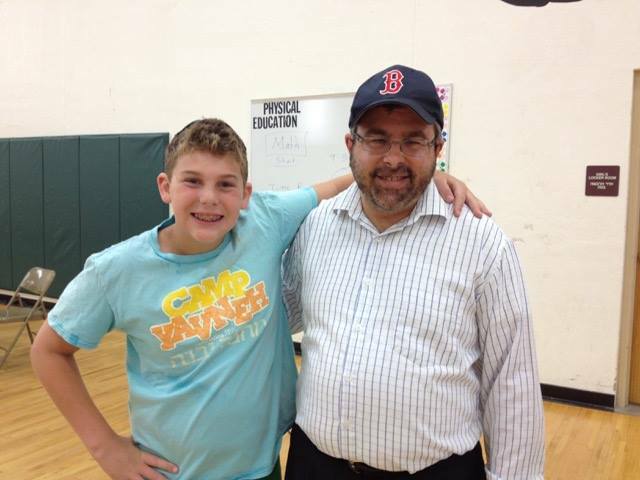 This past summer, when I visited camp for Zimriyah, I saw Ezra from afar with his Gurim campers. 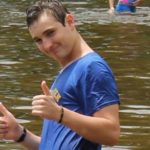 I asked a friend who was working at camp this summer, “Wow, is Ezra Schwartz really a Gurim counselor?” She answered, “Yes, and not only is he a Gurim counselor, but he’s an INCREDIBLE Gurim counselor…everyone is so impressed.” I felt so proud, that this former Gurim camper of mine was now making HIS campers fall in love with Yavneh, and hopefully they will continue to have the life-changing camp experience that we all had. When Ezra was crowned Melech Zimriyah, I was bursting with pride. I ended up next to him in the annual photo of all of the past and present winners of melech/malkat zimriyah. After the photo, I hugged him and told him how proud I was of him. I am so grateful I had that opportunity. I hope he knows how proud he made everyone in his life and how much joy he brought to our lives. Ezra made an enormous impact on everyone who knew him, and I feel lucky that I was one of those people. May his memory continue to be a blessing to all of us. I will actually answer both of these questions together, since there was an amazing coincidence that occurred at my son’s wedding. Rabbi Mel David, who was a teacher and mentor to me during all of my Yavneh years, taught at the same Jewish day school as my daughter-in-law last year and, to my surprise, came to the wedding. It was the first time I had seen Mel and his wife Esther in 28 years! Mel inspired me to be a sensitive, caring teacher, and his style is very much a part of my own work with teens to this very day. Since Yavneh, I’ve pursued a career in public policy and urban development. I’ve worked briefly for the European Parliament in Belgium as a legislative aide and strategist focusing on international development and relations with Israel, for NY Senator Chuck Schumer as a communications and constituent aide, and for NY State Attorney General Eric Schneiderman as a consumer fraud analyst. I’ve worked for several political campaigns, managing offices, interns, volunteers, unions, and the press, including a NYC Council Race, Norwalk, CT Mayor’s Race, and Christine Quinn’s NYC Mayoral Campaign. Currently, I am part of Queens Borough President Melinda Katz’s Economic Development team. As a policy analyst and program manager my primary portfolio includes the growing Tech Economy and Transportation issues. As a community liaison I represent the President in Long Island City, Sunnyside, & Woodside. Outside of work, I serve as a member of Manhattan Community Board 4. I’m active in Jewish social justice issues and sustainable food development. I could go on more and more… lol. I hail from the west side of Manhattan…I’m single. My brother lives in Israel and I have two very cute nieces living outside of Washington DC. It’s hard to pick one memory out of so many highlights. In general, I found maccabia breakouts/fakeouts to be very creative and fun. Two stick out as real highlights- the m & m cookie /salmonella scare and the West Nile virus scare. My favorite place in camp is the area between the white sukkah and Tzippori. You can look out onto almost all of camp and see the action. Whether it’s a Shabbat afternoon or the middle of peulah gimmel on a Wednesday, you can see all the different sides of camp; kitot, sports, relaxing etc. I also love the agam because it is so peaceful. Is there anyone at camp you would love to bump into and get back in touch with? Who made a real impact on you? Why? I’ll follow Bernie’s lead and answer these two together as well. My chanichim and co-workers (madrichim/co-roshes) made a real impact on me. Working with such a diverse group of personalities and people taught me hands on the importance of empowering diversity and klal yisrael. One of the things we tried to strive for as as tzevet was to empower our chanichim in all of their pursuits regardless of our personal opinion of their pursuits. Through this lens we were able to see the campers succeed! In this vain, with the knowledge I have now about how many of our staff and campers have grown, I’d love to travel back in time and bump into our whole aydah again. Facebook or email (yonibokser@gmail.com). Instagram and twitter work too but less frequently! I am living in Israel for the year, and especially in recent days, I’m reminded of the resilience and determination of the remarkable people here. 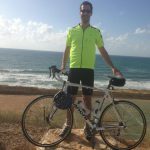 In an effort to further explore and support this amazing country, I biked from Jerusalem to Eilat in the 2015 Israel Charity Ride at the end of October. I rode in support of two great Israeli organizations: The Arava Institute for Environmental Studies, a think tank dedicated to bring together leaders from Israel and its neighbors to combat climate change, and Hazon, whose mission is to build healthier and sustainable communities in the Jewish world and beyond. The full ride is 350 miles long, and since this was my first time doing anything like this (I once rode 32 miles), your support provided me the motivation I need to go the distance. In fact, I used your encouragement as my tailwind since it turns out that the ride from Jerusalem to Eilat is not all downhill! I took your thoughts, encouragement, and support with me on what turned out to be an incredible journey. This morning I felt like running. How could I not? It was a beautiful day and I had just enough time for a good run before my 9:00 AM meeting. So I packed up my CamelBak with the usual 2 liters of water but included a few add-ons: a cell phone in case of emergency and a knife in case of an attack. With my Intifada running kit ready, I was off and out the door. Slowly the holiday rust in my legs began to fade and despite three weeks of delicious food, I felt light and easy. But after a few blocks, I became nervous when I realized that my legs were automatically directing me to my usual route through an Arab neighborhood. Given the recent attacks, this normally friendly area may not be safe. My pace slowed as I asked myself if a less risky alternative was a wise choice over my usual path. This dilemma was an expression of a much deeper set of questions: How do we let terror affect and alter our lives? How do we stay healthy during periods of great stress? How do we show strength and resilience without making foolhardy decisions? 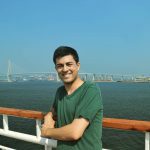 I was reminded of two opposite behavioral therapy techniques for overcoming phobias I learned when I studied psychology. The first, a traumatic yet effective technique, involves exposing the individual to his/her phobia in its absolute worst form. This technique, called “flooding,” is similar to introducing a person with a fear of dogs to a rabid dog, or a child with a fear of reptiles to an alligator. After flooding the person with his/her worst nightmares, the theory posits that lesser threats, like a neighbor’s puppy, will seem like, well… a puppy. The second technique is more subtle and is appropriately called “graduated exposure” or “systematic desensitization.” This involves gradually exposing the person to his/her phobia in its least threatening form. When the patient achieves relaxation in the presence of this stimulus, the therapist then brings out the next worst thing. This is a slower but far less traumatic approach to overcoming one’s fears. Back to my run. I elected to take a safer route and made my way to a large park I had never visited. It was beautiful and in the safer environment, I was worry free. Relaxed and re-energized, I came home and got ready for my meeting. By adapting my plans ever so slightly, I was able to maintain a normal life in what has become an abnormal world. This, in and of itself, is a great form of resilience and something that Israelis have been doing since long before the state was founded. Adapting our lives in the face of terror is much more difficult than addressing a phobia. We cannot overcome our fear of terrorism by “graduated exposure” or “flooding” because we are dealing with a real threat, not a hypothetical fear. Still, we cannot allow our fear to dominate our lives. We must find ways to live the most normal and healthy life possible. For me, a normal life includes my run. Research supports exercise as one of the most effective relievers of stress. The positive effects of exercise last hours and it not only improves mood but also the speed and quality of our decision-making. I turn to exercise at this time not only because I want to maintain a sense of normalcy but also because it physiologically aids my ability to be calm, to be happy, and to be resilient. But I need to also stay safe and so I packed accordingly and changed my running route. By adjusting and adapting, we can recognize and avoid danger, living our lives differently from before but with the same passion and vitality. Thus by adapting, we prevent terrorists from achieving their main goal: causing us to be afraid, paralyzed, and hiding indoors. I challenge us all to find ways to increase our resilience without taking unnecessary risks. And if you are looking for ideas, then exercise is a proven option. 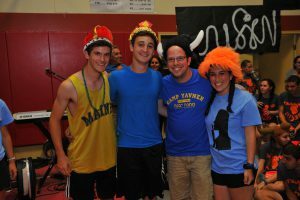 Yavneh Alumni Shabbaton at Camp! June 17-19. Join us for a Shabbat together in the place where it all began! Must be 21 years or older to attend. Details to follow. 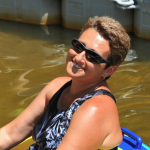 Sunday, July 3rd, celebrating July 4th and celebrating Debbie Sussman’s dedication to Machaneh Yavneh. All of our alumni are invited to spend the day at camp. 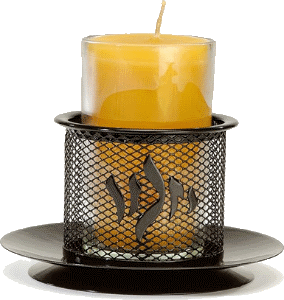 Exciting Events: welcoming of Torah that will be written in honor of Debbie’s many years of service, July 4th parade, karaoke, line dancing, cupcakes, basketball game, tour of updated facilities, BBQ, Talent Show, the Yavneh Band and fireworks. Wear Your Yavneh T-Shirt Day. Monday April 4th (that’s 4-4 to you and me, as in 1944!). We are asking all current Yavneh campers and Yavneh alum to get out their Yavneh t-shirts and sweatshirts and hats and flannel pants, wear them, and post photos! 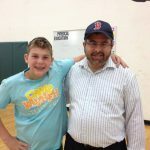 This is the first time ever for this new Yavneh masoret. Estelle Lajmer Gomolka, K ’79. You look so beautiful, as usual, m’bayit u’michutz. 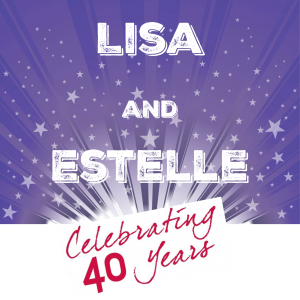 How many campers have sung this to Estelle over the years? We estimate 8844. No one can deny Estelle’s love for Machaneh Yavneh and all of the campers who swam through the agam. She provides everyone with their last memory of camp, the ne that lasts them through the entire school year – banquet. One of her many adoring Sgan’ei Agam, told us how much she appreciates all that Estelle does for the campers and how she looks out for her tzevet and takes care of them, making them feel as if they are one of her own. Whenever alumni return to camp for a tour or visit, they always seek out Estelle, to make them really feel like they have returned home. Lisa likes to ask Yavneh people to describe their favorite snapshot of camp. Lisa’s favorite snapshot is, after dinner when the whole camp either goes to mincha/maariv or plays on the fields, she looks over the field seeing the beautiful color of the sky and all the craziness yet serenity of everyone running around and enjoying their free time. Lisa loves seeing her son Jack ( K’17) love camp as much as she does. 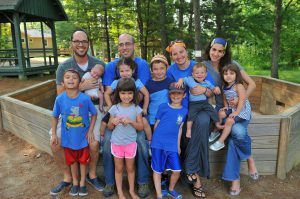 Talk about craziness, Lisa has been running Maccabiah for at least the past 20 years working closely with Kerem. Having been in Kerem she loves working with them and helping to oversee the rest of the Kerem program as well. One of the Kerem kids, just recently wrote this about Lisa: [In talking about a program she ran at her school]… the programming was so great, everyone had a fun time, and I am so happy. But honestly, I can really only attribute this success to you. I planned a successful program because you taught me how to do so this past summer, and I did everything you taught me to do. There were MANY stressful moments–as there always are when it comes to programming… I applied everything I learned from you as a Rosh during Maccabiah, and brought it to something I used at school. Obviously most of the carnival was BASED on Kerem Carnival, something that you helped guide us through. I literally cannot express to you how thankful I am. You taught me so much about programming, creativity, and leadership. There is not a sweeter compliment that one can give to Lisa. Camp is one of her loves (Scott and Jack the others! ), the place that she gives her heart and soul to every summer and we all say hamon todah! Nellie Hermann wrote a new book. In The Season Of Migration, she channels the story of Vincent Van Gogh, Theo Van Gogh, and the ghost of their dead sibling. To read more about Nellie and her book, click here. Davida Amkraut’s mom, Gloria Goldreich, wrote a new book entitiled, The Bridal Chair. Beautiful Ida Chagall, the only daughter of Marc Chagall, is blossoming in the Paris art world beyond her father’s controlling gaze. But her newfound independence is short-lived. In Nazi-occupied Paris, Chagall’s status as a Jewish artist has made them all targets, yet his devotion to his art blinds him to their danger. To read more about this book, click here. Scott Rubins co-authored an article entitled, As Seen On TV: Jurors Perceptions Of Forensic Evidence, that was published in the Rhode Island Bar Journal. The article discusses what is known as the CSI effect on jurors and how they perceive the evidence that is presented to them. To red the article, click here and go to page 5. Jacob Meier co-founded a new company and new product. Zero K sweat wipes are designed to help you cool off from the heat and unwanted and uncomfortable sweating. No longer do you need to use your sleeve or a paper towel to wipe your brow, or worry about that “breaking point” where people notice your perspiration. Whether you’re about to attend an important business meeting, talk to the attractive person dancing next to you, step into the subway on a hot summer day, or just need a way to cool down, Zero K is here to help. Zero K sweat wipes are disposable, easy-to-carry, and scientifically designed to cool you down when you need it most. To learn more, Click here. 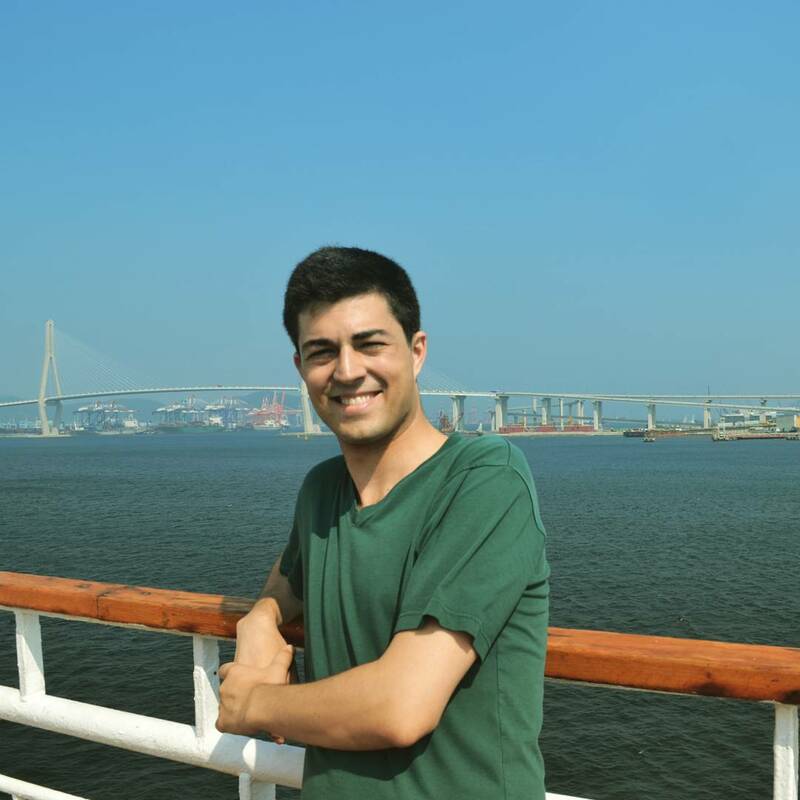 Ben Park (K’04) – on completing and receiving an Artist Diploma in composition at the Hartt School of Music in Connecticut and on beginning his doctorate in composition at the New England Conservatory of Music. Alanna Wolf (K’08, N’09) – on being named a 2014 Albert Schweitzer Fellow. This national honor empowers graduate students in the health sciences to have an immediate and lasting impact on the needs of underserved communities by addressing the social factors that affect health. 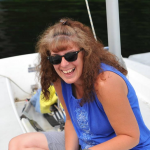 Alanna is currently a rising graduate student in the Masters of Science in Occupational Therapy (MSOT) Program at Boston University College of Health and Rehabilitation Sciences. Rabbi Saul Strosberg and Daniella Pressner – tenth year of service to Congregation Sherith Israel and the Nashville Jewish Community. Rabbi Strosberg received Yeshivat Chovevei Torah’s Alumnus of the Year Award. Elana Jacobs (K’03) – Artistic director and choreographer of Seattle based CabinFever, which is planning its first tour, called Salutations. Article in the Seattle Arts Magazine. Read more here. Deborah Nathan honored at the Boston Jewish Film Festival for her passionate commitment to social justice and to improving society. Nathan, an arts therapy specialist and professional artist, founded Artsbridge, an organization that uses art and dialogue to develop constructive partnerships between American, Israeli, and Palestinian youth. I was driving to work Friday morning in Bala Cynwyd (PA) when a car honks and pulls up next to me. A white haired gentleman rolls down his window and says- I love your bumper! I went to Camp Yavneh in Northwood back in 1957! What a great camp! I thanked him for stopping me about this as it simply doesn’t happen every day here and I let him know my daughter Shuli goes to camp and loves it too! I asked his name and he said Joel Rubin. He wished me an easy fast. Then the light changed and we drove off. When I told my daughter about the conversation that night her face lit up. I know camp is an amazing and transformative experience for so many. It is nice to hear it from a stranger and we thought you would appreciate it too. We love the bumper!!!!! 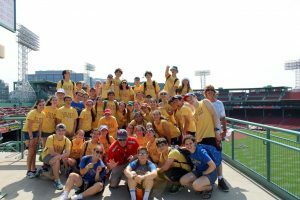 I wanted to send a note expressing my gratitude for yet another layer of the Yavneh community that I discovered this summer. While I was very sad to be away from Northwood for the first time since 2002, in moving, even if temporarily, to a new city for the summer, I learned that the Yavneh community never really leaves you. I was invited to Shabbat dinners and minyans and coffee throughout the summer from several Yavneh alums in the area, both people in my aydah and not in my aydah, and it was such a special feeling – wherever you go, there’s not only someone Jewish, but someone from Yavneh! I’m looking forward to this new phase of my Yavneh life, especially as I look to life after college. I thank the leadership of Machaneh Yavneh for everything that they have done for camp that has made the Yavneh community so strong and so special. I hope you have enjoyed this edition of our new Alumni newsletter. I am Machaneh Yavneh’s new Alumni coordinator. You can plan on new alumni events to be scheduled in the Boston and New York areas (even an occasional event in Israel!) 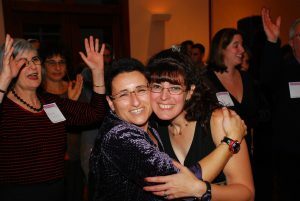 These alumni gatherings are a great way to discover old friends in a new way and meet new ones from other Kerem years. Please join us or feel free to get involved by offering new and exciting ideas for opportunities to come together. 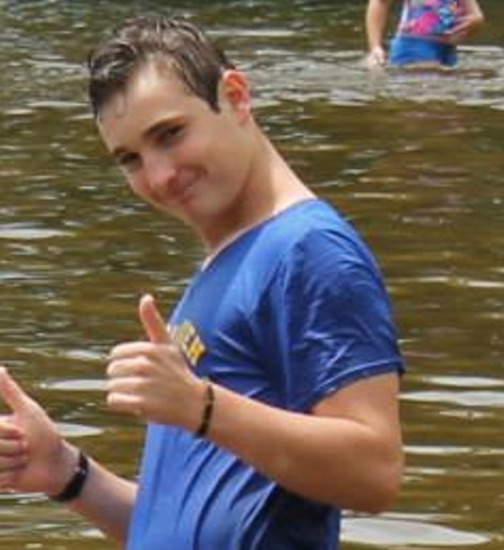 I can be reached at lisa@campyavneh.org and look forward to hearing from you! Please note: All our alumni for whom we have email addresses will receive notification when there is a new alumni blog. You may unsubscribe on our website if you do not wish to receive these notices.